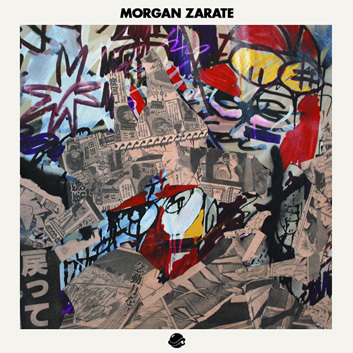 Morgan Zarate is a heavyweight producer and staple on future soul. Zarate was responsible for producing the first two Spacek albums, which included classic cuts like “Eve”, and has worked with such notables as Dizzee Rascal, Amp Fiddler, Raphael Saadiq, Eska, Slum Village and Ghostface Killah. Through the years, Zarate has sprinkled pieces of his solo work on various labels, remixing acts like Frank N Dank on Dopeness Galore, and releasing one offs, like his widely acclaimed, “M.A.B.”, featured on Fat City’s Producer series. 2011 will mark the release of his much anticipated, and long awaited solo LP. Earlier this year, he dropped his first peak at the album with his Hookid EP, out now on Hyperdub. Zarate is another individual we’ve been hoping to link with since the start of BTS. He hits us with a nasty grime and hip-hop mix, showcasing why he’s also one of London’s most beloved DJs.